Scott Coker is bringing the band back together. 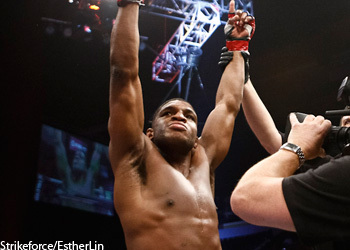 On Monday, Bellator MMA announced the signings of welterweight Paul Daley (pictured) and Melvin Manhoef. Terms of their respective deals were not disclosed. Daley has won five of his past six scraps, most recently putting Romario Manoel da Silva to sleep at BAMMA 14 in December. “Semtex” fought for Coker sporadically between 2007-2011 in Strikeforce. Manhoef snapped his two-fight losing streak in April by posting a TKO victory over Evangelista Santos at Gringo Super Fight 10. Manhoef is a recognizable name in the MMA world, but the kickboxer was just 0-2 for Coker when he worked for him in Strikeforce. No word when the sluggers will make their promotional debut.